If you are interested in receiving CDA housing assistance, you must first apply for admission to the housing program. There are no residency requirements. However, the CDA gives priority to applicants who live, work, or attend school in the City of Madison (see preference information below). The CDA maintains a separate wait list for each housing program. Applications must be submitted through the on-line application system when the wait list is open, and may be completed anywhere internet access is available. The on-line application is available in both English and Spanish. See below for a list of agencies which provide application assistance. If you are unsure if you need to submit an application, please contact us. Do NOT use the on-line application to update your information. If you experience difficulties with the on-line application system, please contact CDA Housing Operations at (608) 266-4675, use option #1. Suggested Web browsers: Google Chrome, Firefox, Safari. Provide a workable mailing address. Applications with "Homeless" as an address will be rejected. Never pay anyone for a CDA subsidized housing application. There is never a fee to apply! A computer or tablet will work better than a cell phone, due to AutoCorrect features on most cell phones. You will receive an error message if any information is left blank or information has been entered incorrectly. You will receive a confirmation number after successfully submitting an on-line application. Write the number down and keep the confirmation number in a safe place. How do I obtain a paper application? What are the income limits for CDA housing programs? Once I apply, what is the process? How do I maintain my status on a wait list? How do I report changes to my application information? How long do the Wait Lists stay open? What is the wait time for low-rent housing? How does the CDA rank applicants on a wait list? What are wait list preferences? What does the CDA screen for? When will the Section 8 Wait List be open? Where can I obtain assistance with completing the on-line application? Answer: Applications must be submitted through the on-line application system. An exception to this process may be made through a reasonable accommodation for those claiming disabilities. An accommodation request must be put in writing to the CDA Housing Operations office located at: 215 Martin Luther King, Jr., Boulevard, Suite 161, Madison, WI 53703, ATTN: ONLINE APPLICATION; or phone 267-8709. Answer: The CDA will review your application before placing you on a wait list, and you may be asked to submit verification (e.g. proof of disability income.) Your date and time of application may be based on receipt of required verification. A receipt letter is generally issued within 30 days after submission of the application. The receipt letter will provide an estimated wait time before the CDA will screen your application for an elibility determination. Answer: You will be notified by mail when your name comes to the top of a wait list or if the CDA is updating your file. Therefore, you must provide a valid mailing address. The U.S. Postal Service will not forward CDA mail. If any CDA mail is returned as undeliverable, you will be canceled from the wait list. If you are canceled from a wait list and you wish to reapply, you will have to wait 3 months before doing so and only if the wait list is open at that time. You must also report changes to the CDA in writing. Answer: Wait lists will generally remain open, until the CDA has a sufficient number of applicants to fill vacancies over the next 12 – 24 months. * There is no requirement to live in the City of Madison. However, the CDA will serve applicants who are awarded a City of Madison Residency Preference first. Verification is required to receive a City of Madison Residency Preference. CDA Housing Wait List Preferences and Required Verification. Answer: Applicants are assigned a place on the wait list, based on preferences and the date and time the CDA receives a completed pre-application. Head-of-household, spouse, or co-head lives, works, or attends school or participates in a training program in the City of Madison. If the applicant does not live in the City of Madison, but does live within the County of Dane, a Dane County preference may apply. If you are homeless, and living in the City of Madison, you may be able to verify City Preference, by having a social worker complete and submit a Social Service Agency Residency Verification Affidavit. Applicants who have a minor child in the applicant household; or the head-of-household, spouse, or co-head is 62 years of age or older; or the head-of-household, spouse, or co-head qualifies as a person with a disability. Head-of-household, spouse, or co-head is homeless and living in a public or private facility providing shelter, a motel or hotel, or is staying with other people because they are homeless (doubled-up); or the head-of-household, spouse, or co-head is a victim of a domestic-related crime. Have a head-of-household, spouse, or co-head who is at least 18 years of age. Qualify as a family as defined by HUD and the CDA. Have at least one family member who is a citizen, national, or noncitizen with eligible immigration status. Families that include eligible and ineligible citizenship are considered mixed families, and the amount of housing assistance will be prorated. Consent to the CDA's collection and use of information as provided for in CDA-provided consent forms. Answer: Public Housing is owned and managed by the CDA. If you found eligible for Public Housing, you will move into a CDA Public Housing rental unit and your rent will be reduced based on your income. 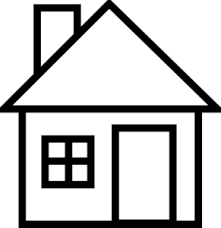 Under the Section 8 program, the CDA provides rental subsidy on behalf of eligible individuals and families, allowing them to rent with a private landlord in the City of Madison. Answer: The Section 8 wait list is only open through a lottery process. The CDA completed its last Section 8 lottery in 2014. The CDA does not anticipate opening the Section 8 wait list this year. It is not possible to apply for the Section 8 program at this time. Answer: Rent is based on your family's anticipated gross annual income. CDA program participants generally pay 30% of their income toward rent, and the U.S. Department of Housing and Urban Development (HUD) pays the rest. Payment Standards for the Section 8 program are based on the apartment bedroom size.